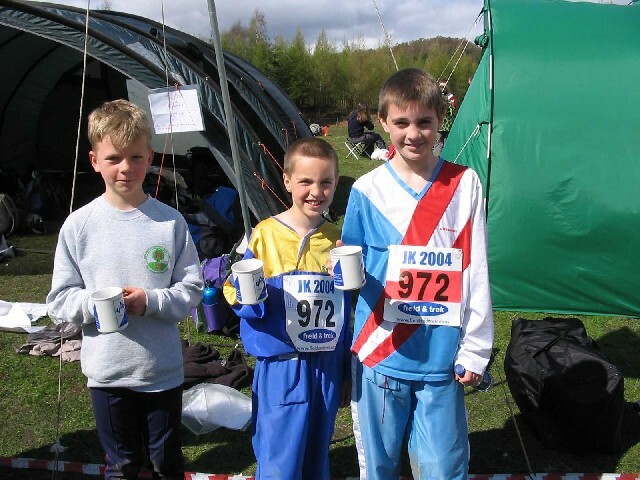 Congratulations to Ralph Street who has been picked for the Great Britain team for the 2008 Junior World Championships (“JWOC”), which are being held in the Göteborg area of Sweden between 30 June – 6 July. This is the first time Ralph has made the JWOC team, and he becomes the first SLOW member to represent Great Britain at JWOC since Ed Catmur competed in 2002. Further details on the selections can be found on the British Orienteering website. Further information on JWOC can be found on the official JWOC2008 website. We are sure that everyone in SLOW will wish Ralph good luck for his preparations over the next 6 weeks and for the competition in Sweden. South London Orienteers have achieved Clubmark accreditation! We have become the 21st British orienteering club to achieve this. 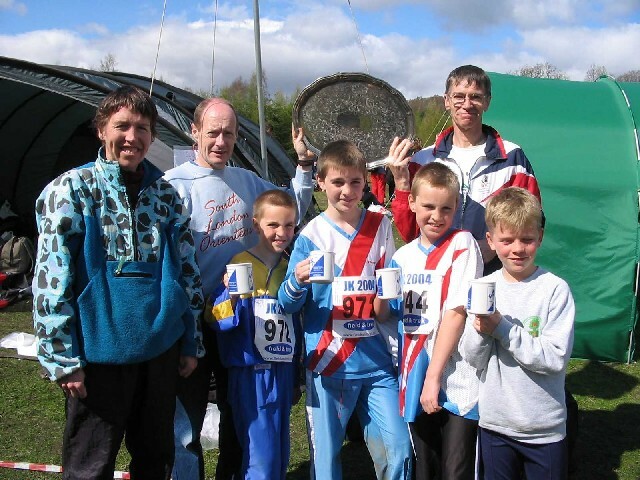 For further information on Clubmark for orienteering clubs, see the British Orienteering clubmark information page. Further details on Clubmark are set out below. Increasingly local authorities and parents look for Clubmark accreditation as a sign that a club is a good quality club which takes care of young people and provides them with an enjoyable and safe experience. We are proud to say we do so. Congratulations to SLOW’s Ralph Street on being selected to compete for Great Britain in the European Youth Orienteering Championships, which will be held in Hungary between 21 – 24 June. Further details on the junior selections are on the British Orienteering website. HM the Queen and Sarah Baird. ”So you’re an orienteer. Isn’t that quite hard work?” So spoke the Queen as I was presented to her dressed in full O-kit, including gaiters, compass and dibber. I live at Goodenough College, a residential hall for postgrads based near Russell Square. Last November, it was our 75th anniversary, and the Queen, who is our patron and a fairly frequent visitor, was coming as part of the celebrations to unveil a sundial and be introduced to members. My partner Carl and I had started a small orienteering club at the College a few months before, and I had been selected to be part of the ‘sports section’ which would be introduced to the Queen, along with Tae Kwon Do, sailing, horse riding and football, sports that were considered to be able to provide visually stimulating displays. Hence I found myself writing to various members of SLOW with the rather bizarre question: “I’m meeting the Queen, does anyone have any O gear I could borrow?” The response was swift and generous. I was soon in possession of many maps, including those of Royal Parks, posters advertising orienteering and not only a control stake and flag, but also a SI box and dibber – all set up to flash impressively. (In the event I did not use this function, since I was warned that anything done quickly or unexpectedly, such as flashes and beeps, might cause me to become quickly covered with burly bodyguards!) I am happy to say that as a result our display was by far the most interesting to look at, and in fact I had many College members come up to me to inquire what all the bits and pieces were for. Eventually and inevitably it was my turn. The experience would have been slightly surreal anyway, but was made more so by the fact that I was not wearing exactly what one expects to wear on this occasion! The moment was a very special one, though quickly over. While I am not sure I managed to convince her to take up orienteering herself, I hope I have given her a positive impression of our sport, at least more positive than she might have felt had she remembered the scaring of the horse in Windsor Great Park which led to the disuse of that map. Thank you so much to everyone in the club who pulled through and helped me by providing equipment for the display. Hopefully it won’t be so long before she meets another orienteer! 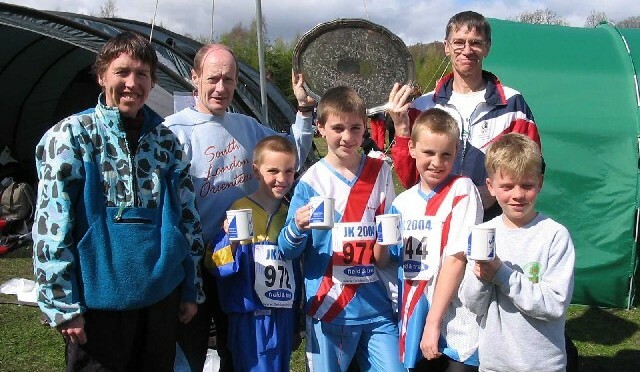 Seventy South London orienteers made the long trip to the contoured lands of the Lake District for the annual JK International Festival of Orienteering. The format is a training day, two individual days (with times added together), & finishing with a relay day. On the individual days, there were very good performances from: Rachael Holmes (W21L 2nd), Diane Leakey (W45 1st on day 1), Monika Bonafini (W50 2nd), Sarah Brown (W50 3rd), Jackie Chapman (W45S 3rd), Ralph Street (M14 7th, 3rd GB), John Dowty (M45 4th on day 2), David May (M55 2nd), Mike Murray (M60 3rd). The relays were well organised & SLOW had a front row view of the action. The forest seemed a lot faster than the other days as we cheered on our 17 teams. This included some running a relay for the first time, & some running a relay for SLOW for the first time. Particular highlights include: 3rd in the Mini Relay (Robert J, Thomas J, James H) 6th in MW40- (James McM, Matthew H, Ralph S) 7th in Women’s Premier (Anja Stratford, Caroline Catmur, Rachael Holmes) 3rd in W120+ (Monika Bonafini, Sarah Brown, Diane Leakey) 5th in M120+ (Peter Haynes, Andy Jones, John Dowty) 1st in M165+ (Alan Leakey, David May, Mike Murray). Also: Ed Catmur 11th on 1st leg of Men’s Premier (2.5 minutes off the lead); the team finished 28th. I hope you all enjoyed one of the best events this year, and have gained inspiration for the rest of the season. Next stop is the British Relay weekend in the Forest of Dean at the beginning of May. See you there!